The VHF 300 AIS combines radio communication and 1 or 25 watts of transmit power with multi-station support to give you the flexibility and convenience you need to safely navigate and communicate on the open water. The VHF 300 AIS is equipped with a 2-way 30 W hailer system for communication with other boats or deckhands. In addition, the VHF 300 AIS has a patent-pending voicemail feature that lets you pre-record a 15 second message and deliver the message to any Digital Selective Calling radio. You’ll also have the ability to replay the last 90 seconds of any incoming voice transmission at the touch of a button. With the VHF 300 AIS, you’ll get detailed data on your surroundings, regardless of visibility. You’ll have ship identification information, position, course and speed for vessels equipped with AIS within range. The VHF 300 AIS also receives both Class A and Class B signals at the same time to ensure no critical information is lost. With a space-saving black box configuration, you’ll be able to mount the VHF 300 AIS wherever you choose. And with multi-station support, you can add the wired GHS 10 handset microphones throughout your vessel without having to add existing receivers. 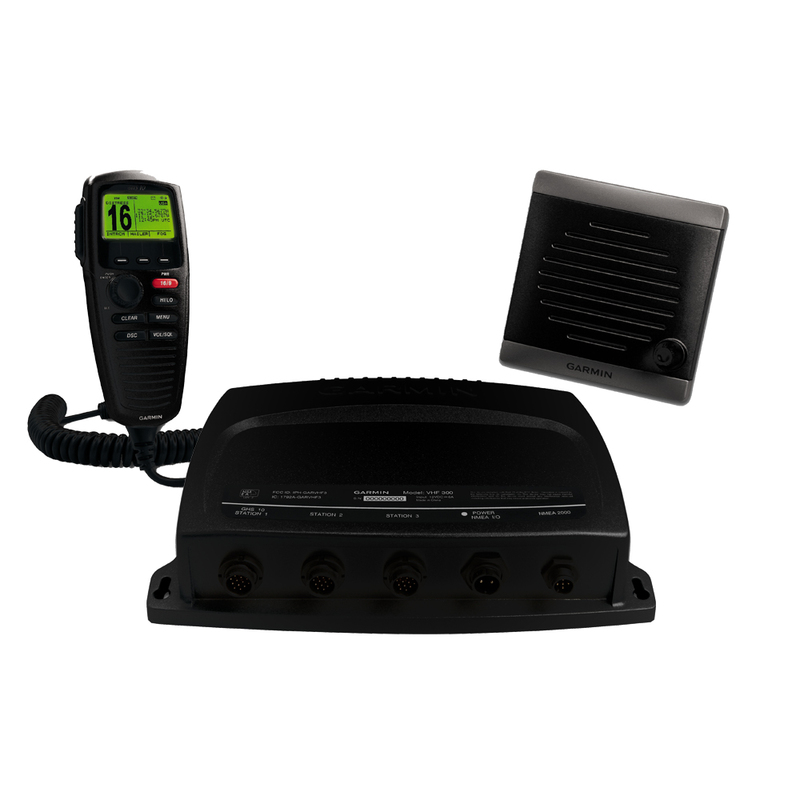 The system also can be used as an on-boat intercom if you have multiple stations aboard your vessel. The VHF 300 AIS provides full NOAA weather alerts and Class D Digital Selective Calling (DSC) capability via NMEA 0183 or NMEA 2000 connectivity. Should trouble arise, DSC provides distress calls with the push of a button. And if your boat already is interfaced with a compatible GPS chartplotter, you’ll get mayday signaling and a digital broadcast of your boat’s position. The VHF 300 AIS also features Position Tracking, which allows a mariner to locate and keep tabs on up to three other boats in the area.